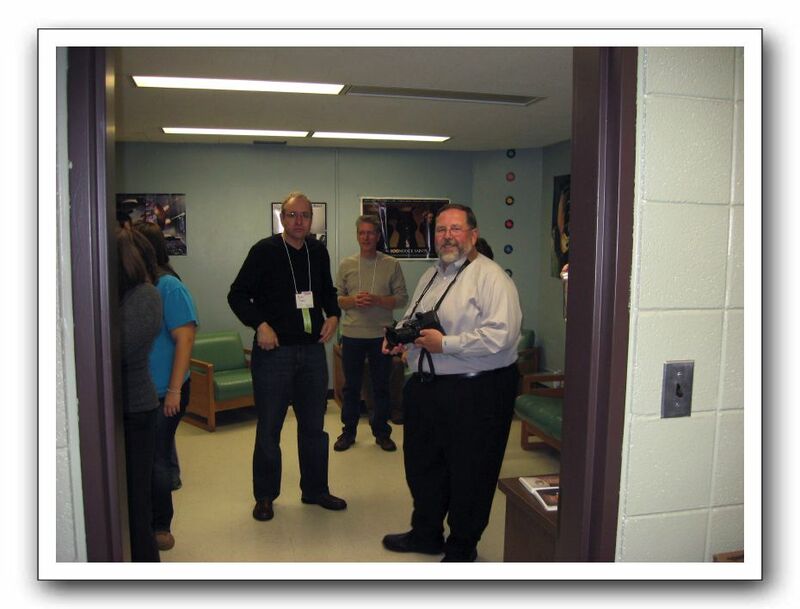 Former WRCR staffers in the lounge of Rockford College Radio. When WRCR occupied this space, this area was the engineering workshop, record library, and Traffic department. Current Rockford students Shayna Leber and Tracey Redeker are on the left. WRCR alums Brian Dubin, center, and John Bace, right, catch up on old times. Robin Wingast LaBedz is behind John. Her husband Gary is in the rear center.